I received this book as a review copy. 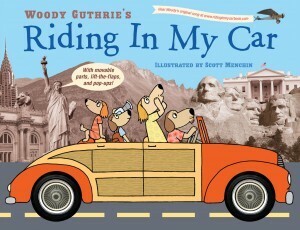 It is a picture book based on the Woody Guthrie song. 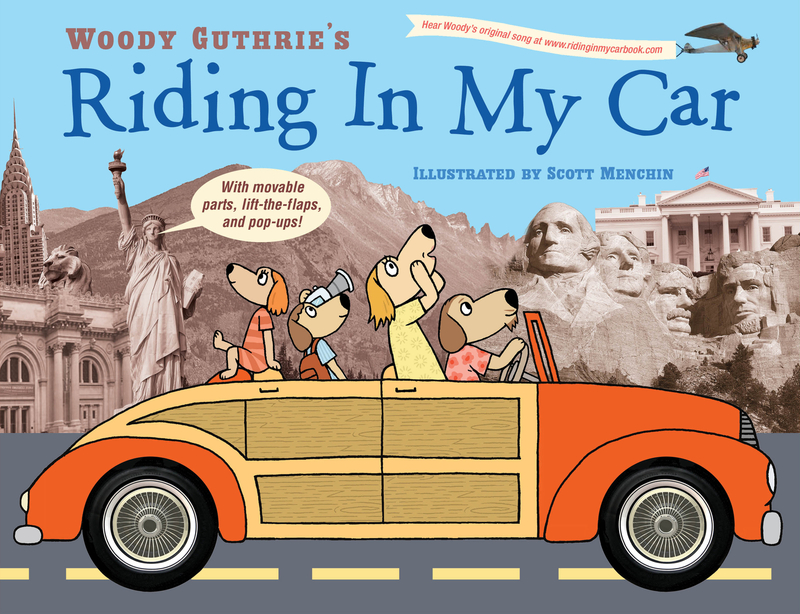 The book takes the reader on a road trip through the United States, with images from New York City to Washington, D.C., to Mount Rushmore to the Golden Gate Bridge. While I enjoy the interactive nature of this book, I don’t think I’m the target audience because I don’t know the Woody Guthrie song. Maybe someone that knows the song would enjoy it more than me. From an animal rights perspective, I don’t appreciate the fishing scene. The family is depicted happily fishing from their car on a mountain lake coupled with the fact, “The largest freshwater fish ever caught in the United States was a 468-pound white sturgeon.” Unfortunately, I do not recommend this book for families that care about animal welfare.